Tech-savvy travelers who want to make their lives and their travels easier with a little help from technology are in for a great year. Techy tourists can take their pick from the new gadgets on 2012 which might not be expressly created for travelers, but definitely help to make traveling as pain-free as possible and more entertaining on those long flights and nights on the bus. If you’ve thought that travel couldn’t possibly be more teched-up, what with high-speed trains, jets, digital cameras and smart phone apps, here is a batch of new technology that will change your mind. 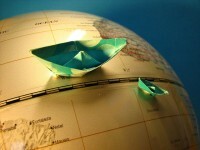 Here are 5 great travel gadgets for 2012, for travelers with a taste for tech. 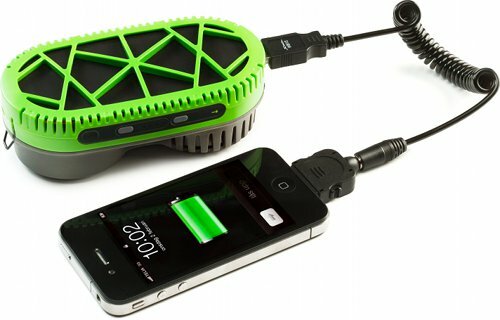 This portable cell charger is water-powered, and it is a great thing to have on you when you’re off on long treks or biking trips in the wild, without the possibility to recharge your phone should it die on the way. All you need to do to get some juice into your phone when you’re roaming the great outdoors is some fresh or salt water. 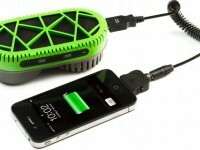 With a bit of water, the device generates enough power to charge your phone. The fact that this e-reader can display color pictures, speech recognition, text-to-speech software and a variety of file formats is the least important feature. More importantly for travelers (in addition to keeping them busy on boring journeys), the e-reader has talking dictionaries, foreign language grammar courses and subject reference materials plus wireless access to online textbooks, which makes it great for students who travel during their holidays. Shatter-proof sunglasses are always a useful thing to have, especially if you are hiking, trekking or rock climbing in the sun. But these awesome glasses are also have inbuilt ear buds connected with a bluetooth iPod access. Whether you are on a noisy bus or a busy street and you’d like to get away from it all, or if you like listening to music while outdoors, these glasses are pretty handy. If you’re feeling nostalgic for the polaroids of the past, you can play with instant pictures with the new Polaroid Z340. 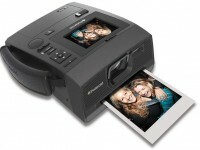 But unlike its predecessors, this camera doesn’t use any ink, and in addition to popping out a photo with a date on it (which make great souvenirs for new friends you make on the way), the camera saves a copy of the pictures in its memory, so you can download them later. If you are planning on embarking on a long trip but you’re worried about the safety of your nest while you’re away, you can keep an eye on it with the Cloud Camera 5000. You can stream the images to a computer or smart phone, and you can set up e-mail notifications in case of any disturbances. If you have pets at home, this is a great way to see how the pooch or kitty is doing in your absence. Where to travel for some winter sun?